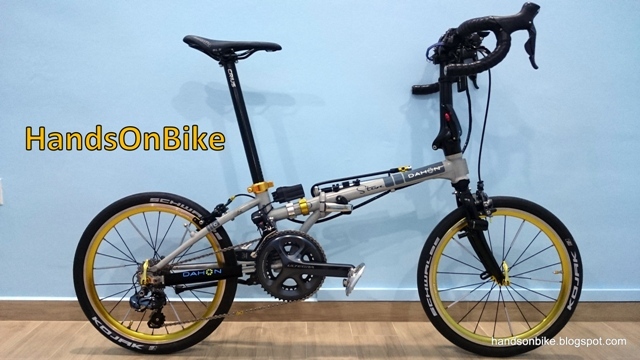 Some updates on the Shimano Ultegra Di2 system on my Dahon Boardwalk folding bike! I have been riding the bike for about a week, and I am very pleased with the shifting performance. It is hard to describe the actual feeling of pressing a button instead of pushing a lever to shift gears. Perhaps it is necessary to try the actual bike in order to know how it feels. On a recent cycling field test, I rode the bike up Kent Ridge, and also along the flyovers along Jalan Buroh. One of the things I really like is that for front shifting, I can leave the shifting till really late, before pressing a button to drop the gear effortlessly and accurately. Also, it makes it easier to change gears when you are tired, such as when you are halfway up the Kent Ridge slope. Another advantage that I noticed is how easy it is to change gears when in the drops. Previously on a mechanical shifter, it is not possible for me to shift the front derailleur when in the drops, as I cannot apply strength to shift the front shifter lever. As for the rear derailleur, it is difficult to shift, as it takes quite a bit of finger stretching to reach the road shifter levers while holding the drops. Now, with the electronic Di2 shifters, it is easy to change gears any time you like! Even when in the drops, I am able to change gears by using just one finger, with very little effort needed. One way to describe it is to imagine clicking a mouse button. The Ultegra Di2 components that I have is not the latest stock to come out from Shimano Japan, and thus the firmware in the components is not the latest version. One of the key feature of the Ultegra Di2 infrastructure is that the components can be reprogrammed through a firmware update, and also allows customization of certain functions. In order to update the firmware, we first need to download the E-tube program from the Shimano website. This is easily done. Next, we need to link the Di2 system on the bike to the computer. 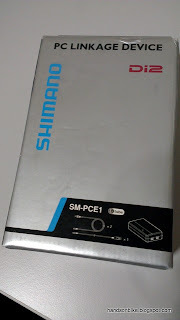 To do this, we need the Shimano PC Linkage Device, or SM-PCE01. For me, this is a pretty much one-time-use device, thus I just borrowed it from a friend instead of buying it, as it can be quite expensive! What you will see below is the PC Linkage Device, and the Shimano program, called E-tube project. Now, you may wonder where on the bike can I connect the wire? For this Di2 system, the wire can be connected to either the left or right shifters. Each shifter has 2 ports, one of them is for linking to Junction A, the other is left empty. 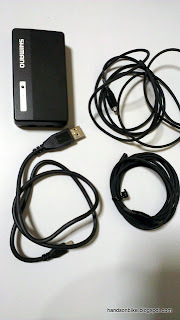 The empty port can then be used to connect an auxillary shifter (such as SW-R600 that I am using), or be used to link to the PC. Since both the ports on my right shifter are already taken up, I connected the wire to the unused port on the left shifter (sorry no pictures here). From there, the whole Di2 system can be updated since they are all linked up! Each component (shifter, RD, FD, etc) has its own firmware version. Upon starting up the program, you can choose which type of bike you are connected to. For now, only road (Ultegra & Dura-Ace Di2) and comfort (Alfine Di2) have electronic components. From here, we can see that in the future there will be MTB Di2! Upon first connection, the program will check the Di2 system for its firmware version. Updating the firmware has many advantages. First, it sorts out the programming bugs that may have been discovered in the earlier versions (not that I detected any). Next, it may enable (unlock?) new features that were not previously available! For firmware version 2, one major update is the ability to multi-shift just by pressing and holding a shifter button. Previously one click means only one gear shift, holding on to the button does nothing (except show the battery life on Junction A). With this update, holding onto the button can continue to initiate gear shifts! As you can see below, there is an option to enable or disable this multi-shift feature. Of course I would want to enable it. There is a setting to customize the gear shifting interval. What this means is how fast it shifts across the gears during multi-shifting. There are 5 different levels; Very Slow, Slow, Normal, Fast and Very Fast. Setting it to slow means that holding on to the button will activate multiple gear shifts, slowly across the cassette. On the other hand, setting it to Fast will initiate quick multiple gear shifts. Basically this is set according to personal preference. I set it to Fast as it seems right for me. The other setting is the number of gears it can shift during multi shifting. You can limit it to two or three, or set no limit. No limit means that pressing and holding the shifter button will shift gears all the way across the cassette, till the RD stops at either the low or the top gear. This is the setting that I am using. 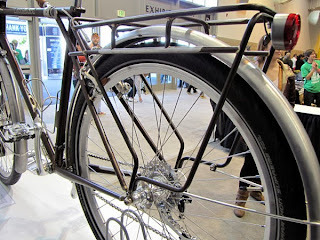 The options available for multi shifting. Besides updating the firmware, using the E-tube program also allows customization of the various buttons. Possible settings include the swapping the functions of the main and release buttons, or other unusual setups such as using the left shifter to shift the rear derailleur. This is all possible by reprogramming the buttons. Trying out these programming settings actually reminds me of setting up the controls on an Xbox console game! I did not change the settings for the road shifter buttons, as I want it to remain similar to the mechanical road shifters. However, I swapped the functions for the satellite shifter. Now, the left button moves to a lower gear (towards left side of cassette) and the right button shifts to a higher gear (towards right side of cassette). The default setting was the other way round which often confused me. Reprogramming the individual shifter buttons is possible! This programming ability of the Di2 system really allows the user to customize the system to exactly the way you like it. If you don't like the default button controls, you can reprogram the buttons to suit your needs. Also, it allows the firmware to be updated which can enable certain new features such as multi shifting. Who knows what additional features may be enabled in the future? You just need shorter chain ring bolts. The original ones are for two chainrings and are thus too long. A bashguard is recommended as chain drop is quite likely. Anyways found it... I need narrow Chainring bolts wich r used for single crank setup.... Would this be available locally? Or Shld I order them online? You can find them locally. Try mybikeshop or gee hin Chan. you can try mounting a FD adaptor and then mount an FD to help keep your chain on the chainring. Steve.. Thanks for the prompt reply... Tats the option I don't want to take coz it will be too tempting to use the FD... Haha.. Currently my set up is xt 9 spd m770 spd rear shifter with 105 Rd... I found tat the xt m770 front shifter cannot be used with a double crank.. It's to be used with a triple crank... Any suggestions other than to change the shifters to m780? First, a mtb shifter is not compatible with a road rd. It will work but there will be some gears that you cannot tune properly. That was a mistake I made previously. I suggest you get road 2x9 speed shifters so that you can keep your current 105 rd, then you can use the fd also. So far I don't have problems with the shifters... Shifting is fine n managed to tune quite ok... Wat road shifters options r there? R440?R770? Hi steve, another qst. Im looking to change into the bullhorn set up using the LitePro stem bracket. I cant find 25.4 bullhorns readily available. any idea what bullhorn size the litepro bracket can take? or is it fixed at 25.4? It is quite limited to 25.4mm. It will be difficult to squeeze a 26.0mm bar in it. I think MyBikeShop has new stems from Controltech that can take oversized handlebars such as 31.8mm. Perhaps it will be easier to find a bullhorn bar in 31.8mm. Can give them a call to see. Hello, found your blog looking for Di2 multishift review. Very very impressed with what you have done! How is the multishift? Also good idea reprog satelite shifter! Makes sense other way! Multi shift is fun, but not as useful as it sounds. I find it easier just to tap the button a few times to shift a few gears. Yes the satellite shifters are very useful. Together with the secondary brake levers, I have a secondary position for braking and shifting.